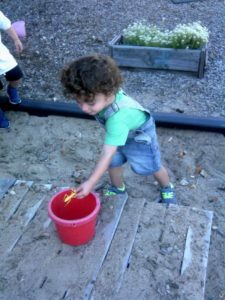 At Shirlee Green Preschool, we celebrate life each and every day. 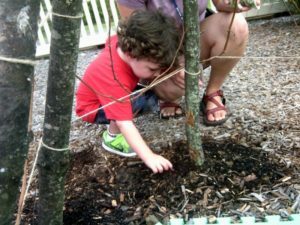 The certified outdoor kitah offers an expansive amount of opportunities for education; tolerance, responsibilities, life cycles, curiosity, and exploration. Even less than successful moments (a plant did not grow) are teachable moments in life. The staff project the blessedness of this outdoor space in their mindful approach of appreciation. I often state that we cannot get much closer to God than when we are fully present in the outdoors. 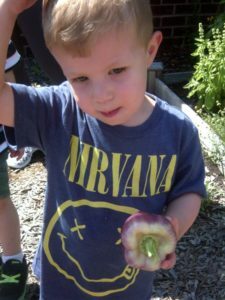 As reported in a post -occupancy study of nature-based outdoor classrooms in Early Childhood Education, “Children in natural settings were reported to be more relaxed, focused, engaged, cooperative, creative, nurturing, and happy compared with children in indoor classrooms or on traditional playgrounds.” With the start of the New Year and in the midst of the fall season, I encourage everyone to mindfully explore the outdoors by hiking, biking or merely walking in nature. And always know that the outdoor kitah at Congregation Shaare Emeth is for all to enjoy the beauty of God.